What is a DAF you ask? Donor Advised Funds, or DAFs, have been around for a while. The first ones were set up in the 1930s and Congress gave them formal standing in 1969. And they may be one of the most advantageous tax strategies you’ve never heard of. The structure is pretty simple. You set up an account with a qualified record-keeper and you fund the account with cash or securities. Like regular donations to charity, you get to take a tax deduction for the amount contributed. Then, once the account is funded, you make disbursements over time out of the fund to federally recognized charities. You can research which charities spend their money wisely on Charity Navigator. And it's that ability, the ability to disburse funds over time and spontaneously, that really differentiate DAFs from other forms of giving. This has been a difficult hurricane season. Add in the recent earthquakes and other global calamities and there is a great need for donations both here in the U.S. and internationally. This is exactly the situation where DAFs can play a critical role in getting help to those who need it. Imagine you got a big bonus two years ago and wanted to donate a large sum of money to those in need. You could have made one big gift to an organization like the Red Cross two years ago, but if you had a DAF you could make that one big gift into a DAF and then over time, give proportionally out of your fund as the need arises. You could have given a portion to an organization helping Harvey victims, then another portion to organization helping with the aftermath of hurricanes Irma, Marie and Jose and then another portion to the victims of the earthquake in Mexico, and then maybe some to your local church. You decide how and when to give. Say you bought 400 shares of a tech stock for $10 a share and it ends up going way up in value to $50 a share and you determine that it’s time to sell. Guess who’s coming for capital gains taxes? You know who. So one option is to gift some or all of the appreciated shares directly into the DAF. When you do that, you completely avoid the capital gains tax and you now have the ability to invest the money in a diversified portfolio, allow it to grow and disburse it over time. In this case let’s say you sold ½ for $10,000 and gave the other $10,000 to the DAF. Great, now you’ve got your next several years of giving all lined up and you only paid $1,600 in capital gains taxes vs. $3,200. Everyone has a unique financial and charitable giving strategy and these accounts aren’t for everyone. 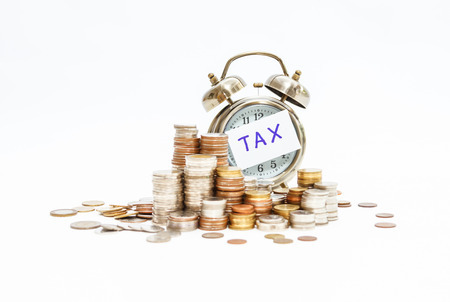 Furthermore, there are state tax laws and restrictions that may make them inappropriate for your situation, so best to discuss your specific tax situation with your tax advisor or accountant, but if you would like to learn more about DAF accounts or the investment aspects of the DAF account, we’d be happy to help. 603-438-1874 or Schedule a time to chat that's convenient. Older PostA Funny Thing Happened After We Crushed Our Fundraising Goal!